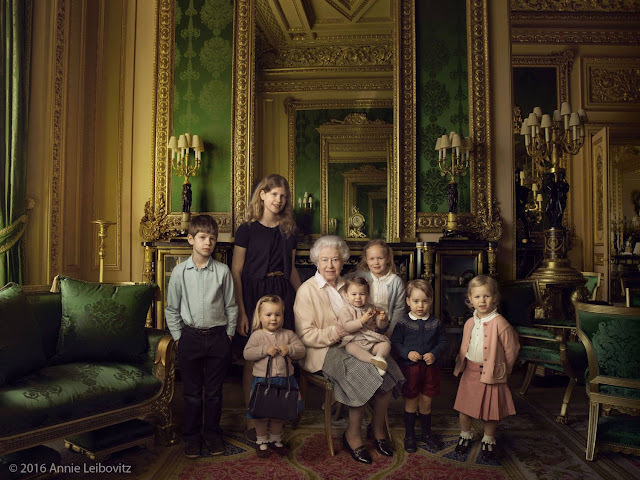 Home / Showbiz / PIC OF THE DAY: THE QUEEN WITH HER GRAND CHILDREN & GREAT GRAND CHILDREN. PIC OF THE DAY: THE QUEEN WITH HER GRAND CHILDREN & GREAT GRAND CHILDREN. Prince George (2) and, in The Queen's arms and in the tradition of Royal portraiture, the youngest great-grandchild, Princess Charlotte (11months), children of The Duke and Duchess of Cambridge.